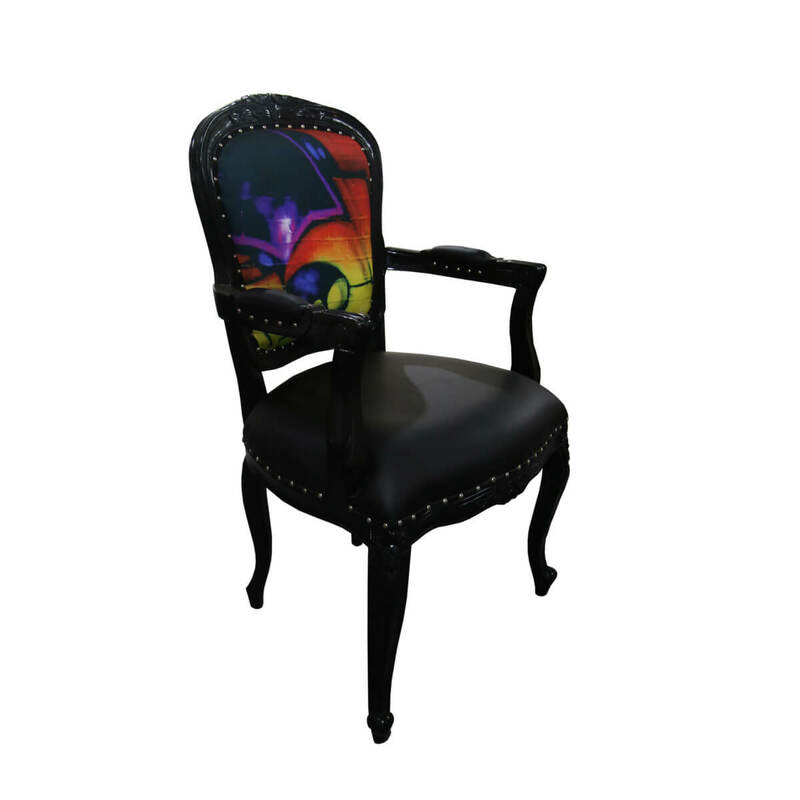 Our Horsham Colorful Graffiti Solid Wood Traditional Black Arm Chair brings the ultimate dichotomy of traditional and cutting-edge together. 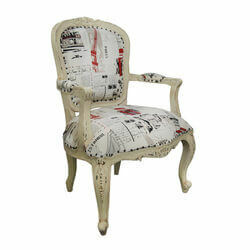 If you're a fan of street art and bold design, you'll love our Horsham chair. 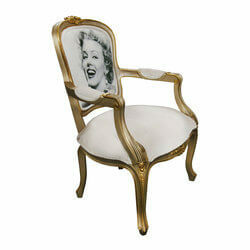 The most stunning aspect of the chair is the art featured on the back of the chair. 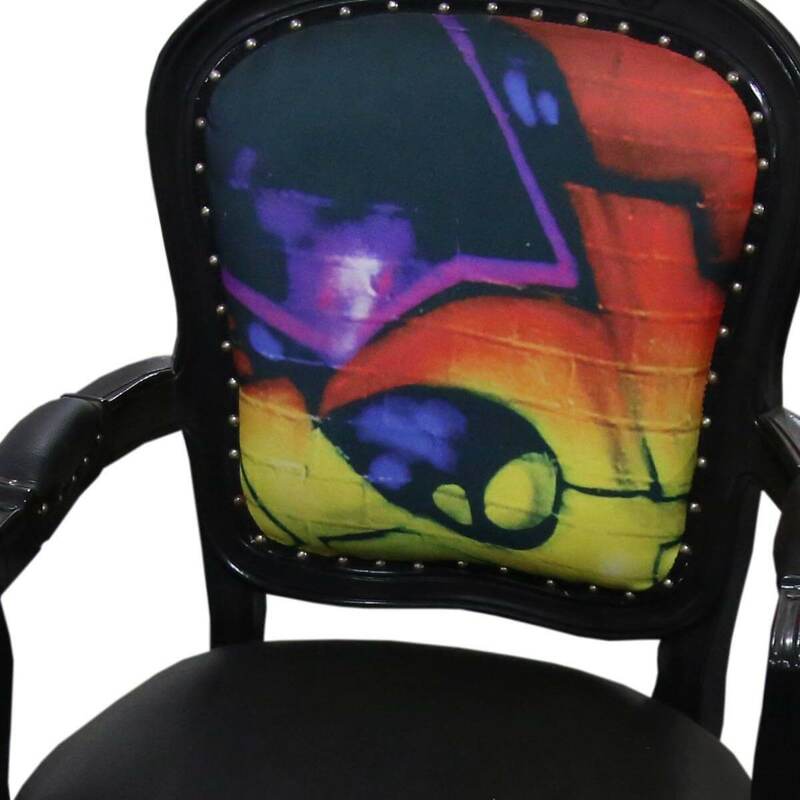 It's a rainbow abstract graffiti work, which will allow the imaginations of your guests to run wild. 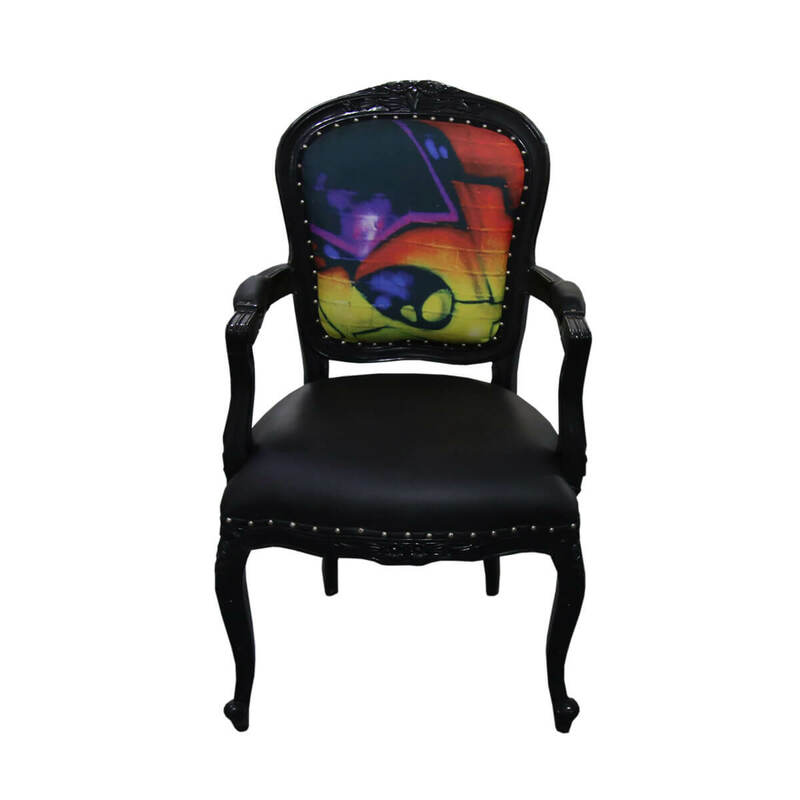 This pattern is featured only on the front of the chair, adding an element of surprise when someone sees the front of it for the first time. 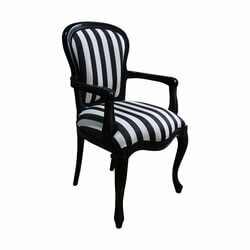 The Horsham chair is made of Mahogany wood and has traditional armchair detailing throughout. 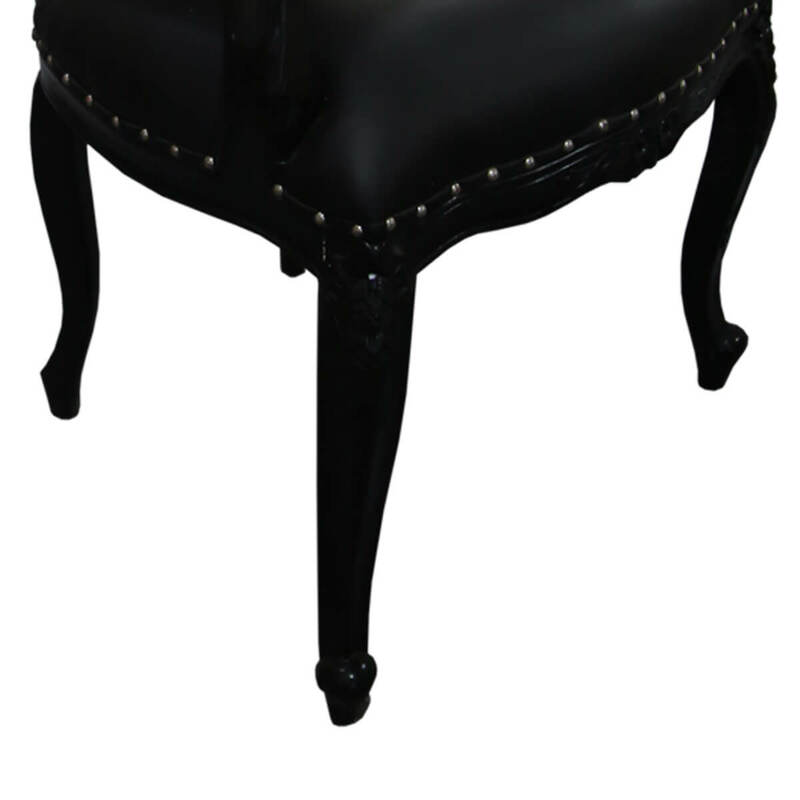 The studs around the arms, back, and seat of the chair add a rocker vibe to this already bold piece. 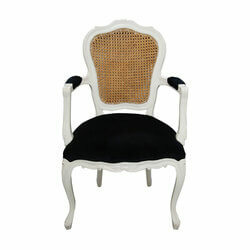 The arms are padded, which means your guests will be as comfortable as possible. 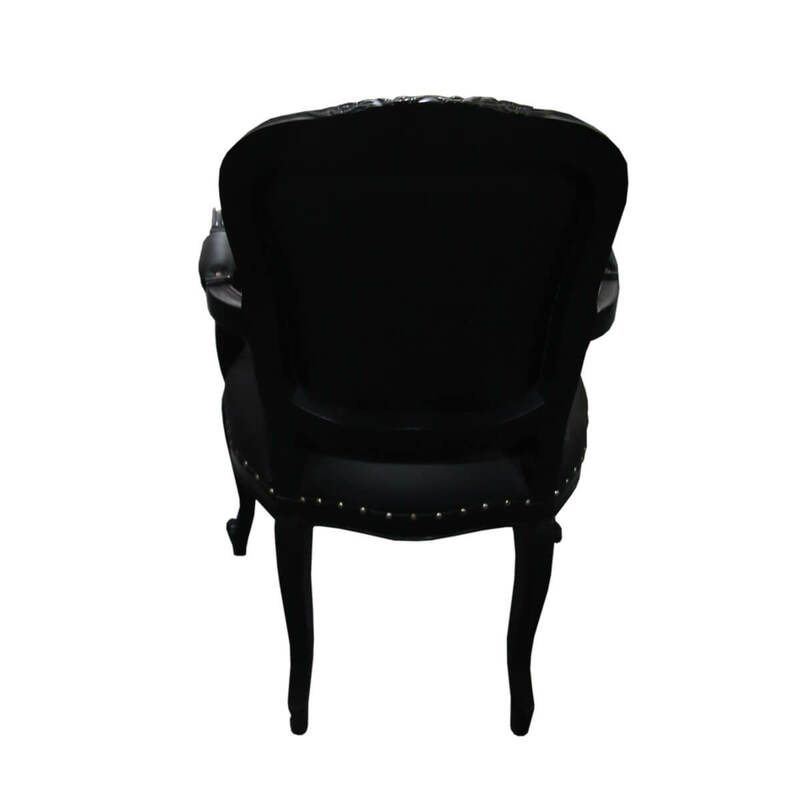 Whether you want to add head chairs to your dining room table or want to add a stunning accent to your main living space, the Horsham should be your piece of choice.